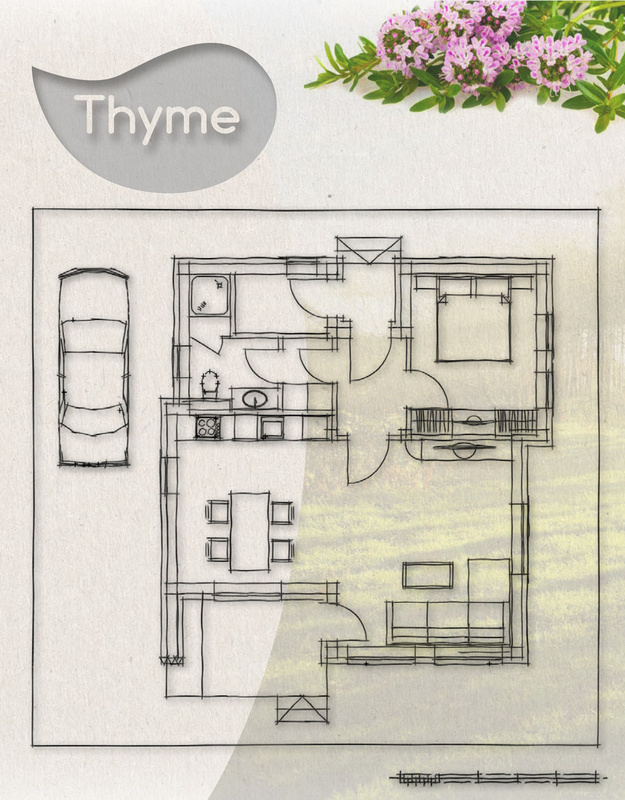 Thyme – A one family house, Built-up area: 73.5 sq. 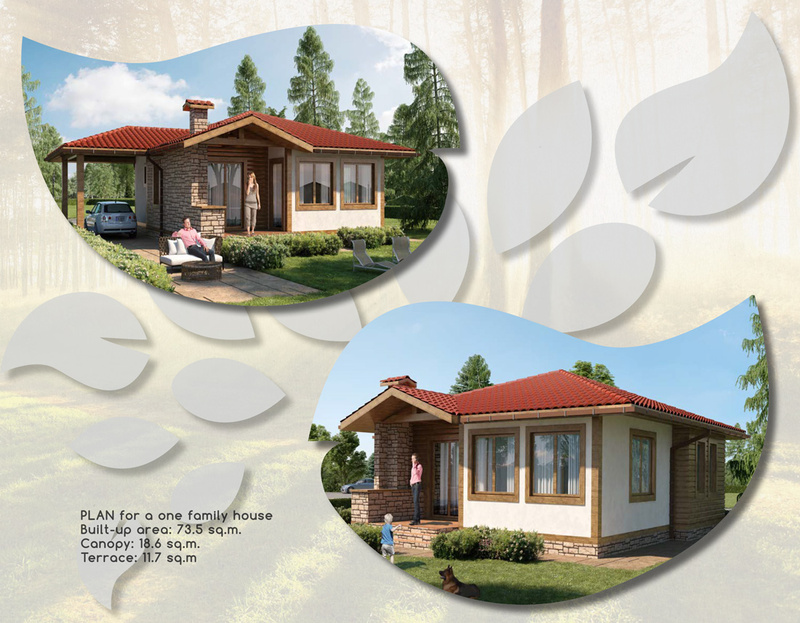 m.
A one family house, Built-up area: 73.5 sq. m., Canopy: 18.6 sq. m., Terrace: 11.7 sq. m.
reinforced concrete structure with hemp bricks. 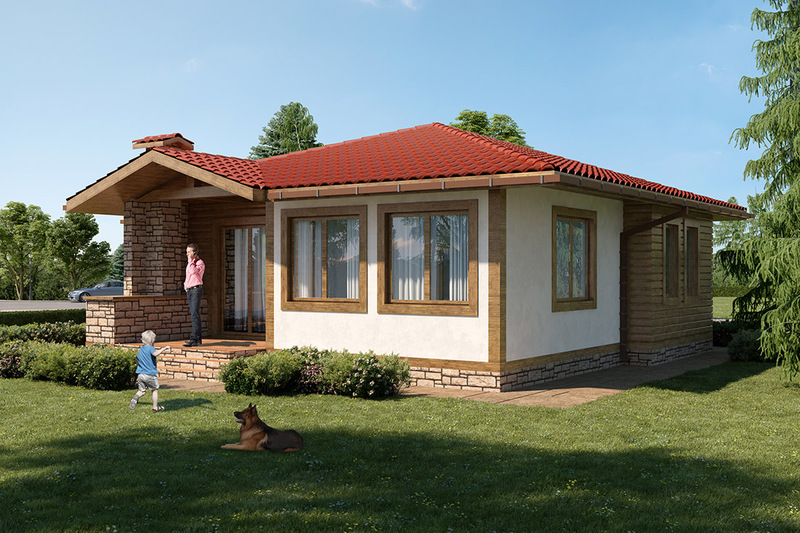 All versions meet the standards for a low-energy consuming house, according to MInergie (Switzerland). 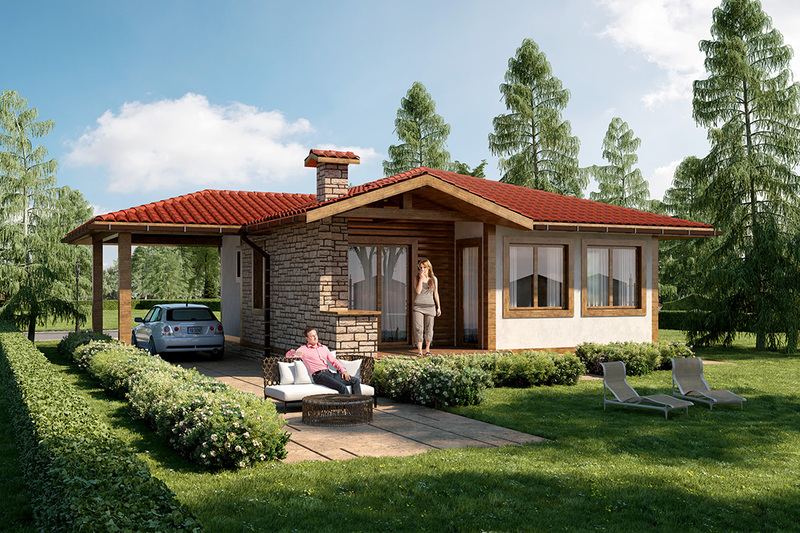 Built-up area: 73.5 sq. m., Canopy: 18.6 sq. m., Terrace: 11.7 sq. m.